* Article adjusted to acknowledge that South32’s bid for Metropolitan was for metallurgical coal, not thermal coal which is the focus of environmental concern. ONE by one they are leaving; it is happening before our eyes. 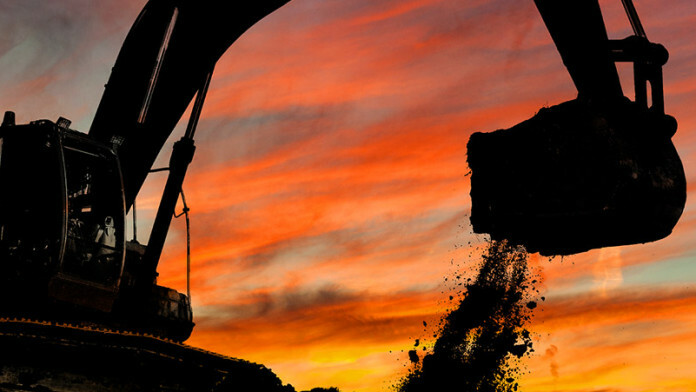 The latest company to withdraw its confidence in South Africa is South32 which intends to be out of South African coal just as Anglo American withdrew from domestic thermal coal production. Asked if there was a risk of confusing the market given that the group had committed R4.3bn in investment to extend the Klipspruit mine whilst simultaneously unveiling plans to sell shares in South African Energy Coal (SAEC), South32 CEO, Graham Kerr, framed an argument around judicious structuring of its investments. But it was corporate speak. The fact of the matter is that South32 is contractually bound to honour take-or-pay agreements with Transnet. It has to commit to the extension of Klipspruit just as it must commit to long-standing supply contracts to Eskom even though some are commercially inimical such as the contract between Eskom and Wolvekrans Mining Complex (WMC), another of South32’s assets. What the decision to sell shares in a separately structured, and possibly separately listed, SAEC achieves is the potential recoup of the R4.3bn, and a strategic decision not to allocate the same quantum of capital to a set of assets in a country that is firmly sub-investment grade with no apparent or obvious way of regaining the confidence of the market. That deal eventually failed as South32 cited a lack of value. Knowing when not to spend is as sparkling a quality as knowing when to – a demonstration of judgement that is clearly marking the South32 team out as quality players in their brief two-and-a-half-year existence. (The share is up nearly 62% since listing in May, 2015). On this reasoning, it makes sense for South32 to retain its stake in Samancor, the manganese producer in South Africa’s Northern Cape province, especially whilst they are generating such handsome cash flow. The prospects for coal aren’t as good partly because Eskom wants new contracts to it to be 50% plus a share empowered. It will be interesting to see what South32 makes of its future in South Africa if mines minister Mosebenzi Zwane’s redrafted Mining Charter prevails. It’s tempting to think the postponement of the High Court hearing into mines the Mining Charter redraft from December to February is a savvy interpretation of political events. One view in the mining industry is that the provenance of the redraft is corrupt politics and so it would be fitting that politics resolves the matter in the form of the ANC’s elective conference. Were anyone other than Nkosasana Dlamini-Zuma elected as ANC president, then it’s thought there will be a shift in policy direction that allow the government to re-negotiate the Charter just as ANC economic development committee head, Enoch Godongwana, said should happen. The fact of the matter, however, is that the High Court is more concerned with calendars and logistics than street-smart anticipation of how the elective conference might end. According to the Chamber of Mines, Judge Sulette Potterill, was concerned the two days set aside for the Mining Charter hearing – on December 13 and 14 – represented insufficient time. Whilst the Chamber was prepared to add a third day to the hearing, Judge Potterill said this was not an option as the Judge President wanted to participate in the case. He is not available in December. The outcome is that the High Court hearing will be heard in three days from February 19 to 21. Nic Roodt, an attorney for Fasken Martineau, thinks the addition of two new applicants in the form of the communities, as well as the addition of AfriForum and the National Union of Mineworkers as amicus curiae – friends of the court – is the real reason the High Court moved out the hearing, however. The communities that have joined the proceedings are Mining Affected Communities United in Action (MACUA), Women Affected by Mining United in Action (WAMUA), and the Mining and Environmental Justice Network of South Africa (MEJCON-SA), represented by the Centre for Applied Legal Studies. This is not an ideal situation for the Chamber. The main argument raised for reviewing the Charter by the communities is that of non-consultation, said Roodt. “This is not an argument advanced by the Chamber because of the worry that if the review succeeds on this ground, such defect is capable of ‘easy’ rectification,” he said. Said another market source: “Personally though, I do think that someone must have thought that this is not a good idea just prior to the elective conference, and that there is a better chance of engagement early next year. It’s clear that the industry will not trust Zwane again, so he needs to no longer be there for engagement to happen”. In the meantime, the revised charter continues to be suspended. Based on the mentioned communities and organizations neck albatross, might as well sell SA mine equities now. How can anyone run a business with a western liberal entourage – I hope Zimbabwe uses its brains properly, even if SA doesn’t. Setting up for another exodus from SA. Wait till SAfricans realize one cannot profit in rands. The rest of the educated world is pulling away. Junk credit. Junk Charter. C’mon folks, you had about the best university on the planet. Isn’t anyone going to do anything? Does anyone have any ideas? not that anyone asked me but I would start with the government butting out of mining. It is called libertarianism, I guess.